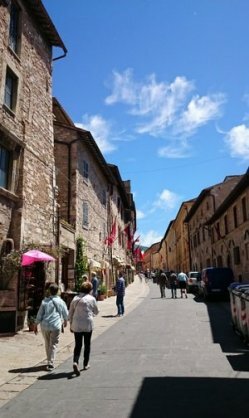 See the greatest highlights of Italy with Venice, Milano, Florence and Rome and enjoy the countryside of Lake Garda and Lake Como as well as the scenic routes of Cinque Terre and Umbria. 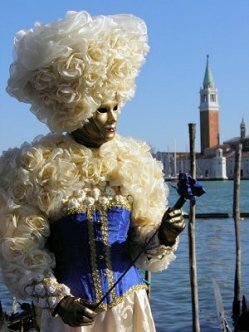 One of the great "art cities" of Italy is Venice, and its galleries and churches shows magnificent paintings. To see the city's many treasures, you must take to the water - the Vaporetto (water bus) is the main means of transport through the canal system and the lagoon. The chief glory of Venice is the Basilica di San Marco, which was originally built in 976. 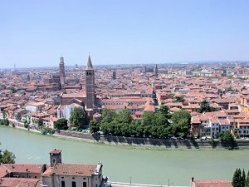 Verona's many treasures include the 14th-century tombs of the Scaglieri, noble medieval palaces, Roman ruins such as the famous Arena (the best-preserved amphitheatre in Italy after the Colosseum) and a clutch of medieval and Renaissance churches. 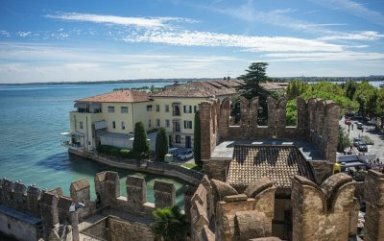 The most interesting ports of call around Lago (Lake) di Garda are Salo, Gardone Riviera, Riva del Garda, Malcesine and Sirmione. All are accessible by the steamer, and rather than drive around the lake, you could leave the car at your hotel and go by boat. Salo has a fine Gothic Duomo (cathedral) with a noteworthy Renaissance portal. 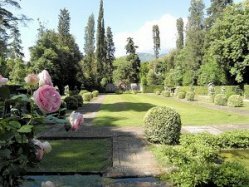 At Gardone Riviera, most things to visit have something to do with Gabriele d'Annunzio (1863-1938), one of the greatest writers and poets of his generation. His villa, Vittoriale Degli Italiani was specially built for him and can be visited. All around Lago di Como, you will see vast villas and castles overlooking the water. Cernobbio is a pretty town about 7km from Como. here is the grand Hotel Villa d'Este, once the home of the English Queen Caroline. 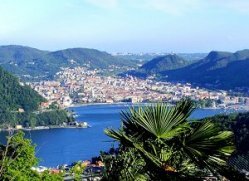 Como was the birthplace of the Roman writer Pliny the elder. 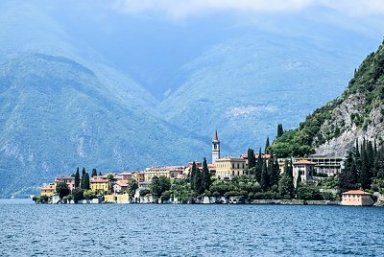 In fact, you will see signs dotted around Lagi di Como pointing to the sites of the various villas the Pliny family owned here.One of the most elegant towns on the lake, Como has, facing the water, a huge promenade which fills with people at dusk. There are busy cafes, palm trees and parks.The Duomo dates mainly from the 14th century. 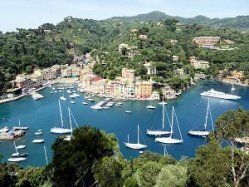 Portofino is one of the tiniest ports on the coast. 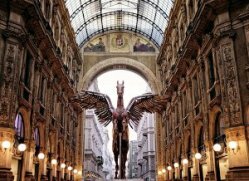 It is also one of Europe's costliest playgrounds. Previously a meeting place for sailors and coral fisherman, whose former homes have been transformed into sumptuous weekend retreats, Portofino is nowadays the holiday haunt of leading lights of Italian society. Monterosso al Mare is the first town in a series with four others in what is called the Cinque Terre (Five Lands) region. 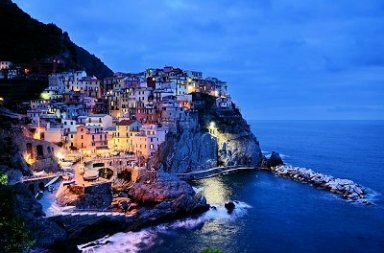 Vernazza, Corniglia, Manarola and Riomaggiore (all within the next 15km/9miles) are noted for their wine, their seafood catches and their wonderful secluded positions crammed to the side of precipitous hills falling dramatically down to the sea. Firenze (Florence) is Tuscany's capital and the undisputed centre of the Renaissance. 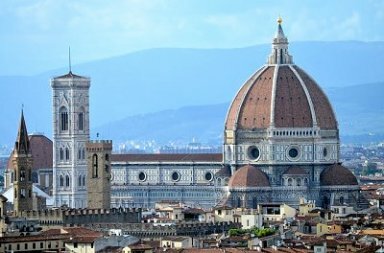 In its heart, the Piazza del Duomo is the great Duomo (cathedral), crammed with paintings, sculpture and frescos by early masters, and the Baptistery, a strange little building in green-and-white marble with its famous and much-imitated 15th-century sculpted bronze doors by Ghiberti. 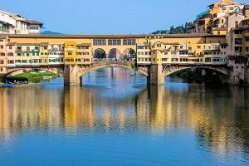 From the art in the Galleria Degli Uffizi (Uffizi Gallery) to the numerous notable churches and palaces and the antique shops, markets and restaurants, Florence's reputation rests on the fact that is can offer everything that is best about Italy. 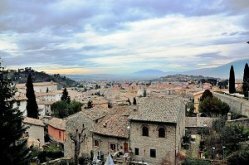 Umbria is best observed from the ramparts of the ancient hill-towns crammed into its central valley. 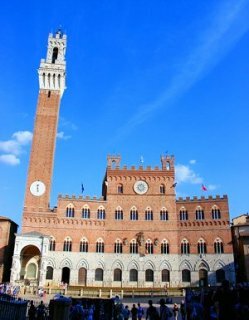 Its hills and lower slopes are covered with olive groves, pines and grapevines and the towns in this magical region are among the most evocative in Italy. 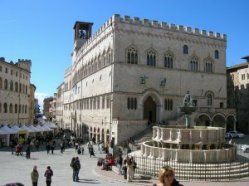 Perugia is an imposing city with a grand central square, Gothic cathedral and magnificent 13-century fountain. 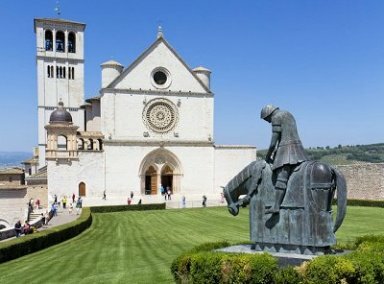 Nestling on the slopes of monte Subasio, Assisi has hardly changed since St Francis, born here in 1182, the son of a wealthy merchant, walked its streets, and its ancient character has helped to preserve his cult. 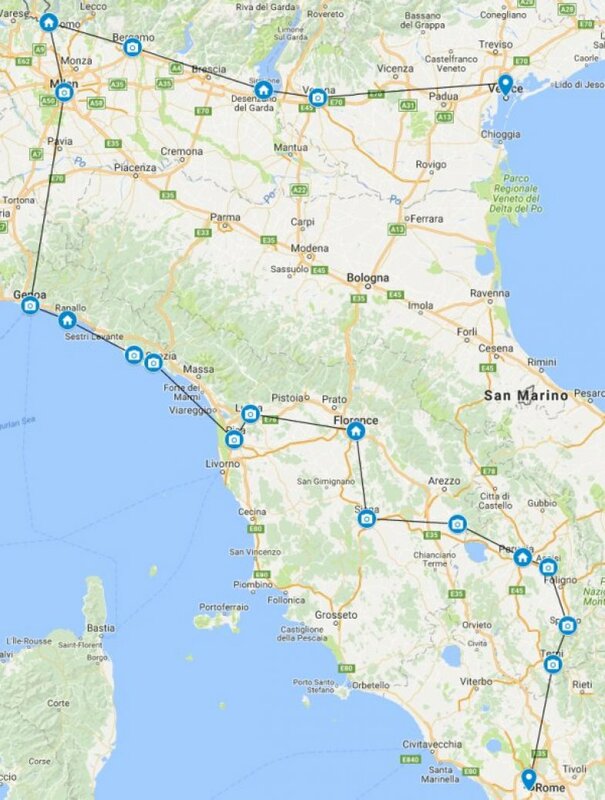 Your road trip through northern and mid-Italy will end in the ancient capital of the Roman Empire, Rome. 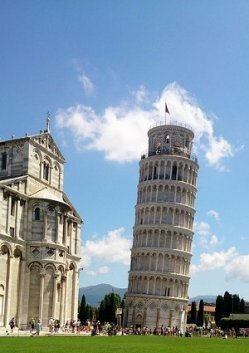 You can book this tour easily also vice versa.